After suffering serious injuries in a skiing accident in February, Crazy Leo Urlichich has announced that he won't be able to continue competing as a driver with Can-Jam Motorsports. We sat down with Leo and his former co-driver Carl Williamson at a recent test day to discuss their plans to move forward. CDNRally: Leo, what are the factors that lead to you announcing your retirement from Rally? Leo: Unfortunately after my skiing accident earlier this year, I am unable to continue driving because of the injuries I sustained. It is obviously terrible news, but unfortunately I am left with no choice but to retire as a driver. CDNRally: Very sorry to hear this, what are your plans now? Leo: Rallying is a huge part of my life and I can't just walk away completely. So after much discussion with the team, we have decided that since I cannot drive, the best thing for me to do is to step into the co-driver's seat. Because of our commitments to our sponsors, we decided that from now on, Carl will drive for Can-Jam, and I hope that I can keep up with the notes. CDNRally: Carl, stepping into your new role as driver will be a completely new challenge for you, how are you feeling? Carl: I'm not expecting too much of a challenge to be honest. As a child, I was drinking rally driving straight from my mother's teet. I'm Welsh, it's in my blood. CDNRally: Do you have any actual competitive driving experience to speak of? CDNRally: Leo, you too are facing a new challenge as you move into co-driving. How are you feeling? Leo: The reason I do this is because I love the sport just as much as before. Because of my injuries I cannot drive, and this is the next best thing. CDNRally: How do you think Carl is going to perform in his new role? Leo: I would like to thank Carl for taking one for the team. I've always said that Carl is awesome and I'm very confident that he will do a good job. 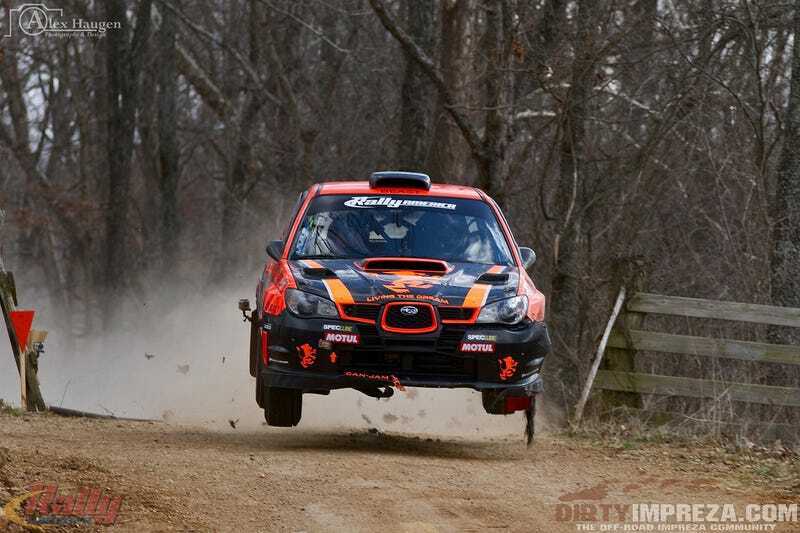 CDNRally: Carl, being such a prominent Welshman, you are bringing new sponsorship to North American rallying. Can you tell us a bit more about that? Carl: I've partnered with the iconic Garf's Sheep Emporium as my title sponsor. As part of this new partnership, I have also decided to rename The Beast to "Dolly" and have it repainted in fuchsia. CDNRally: Why did you choose fuchsia for your new colour scheme? Carl: It's my daughter's favourite colour, and secretly my own as well. When you're co-driving, you rarely look out the window so I never really noticed how terrible that orange looked. CDNRally: Carl, Leo has gained a reputation for crashing quite often. Do you think your additional skills will give you better luck in that regard? Carl: I've had some of my own experiences with wrecking cars. In fact, I like to challenge myself by leaving the handbrake off whenever I park on a steep hill. I pride myself in the fact that I have only written off cars that I am not actually in, unlike Leo. CDNRally: When will you guys debut? Carl: We will debut at Rallye Baie des Chaleurs at the end of June. Get ready to see Dolly on the top step of the podium!